Trident is an expensive status symbol that has no military value and drains resources from conventional defence and socially useful investment. 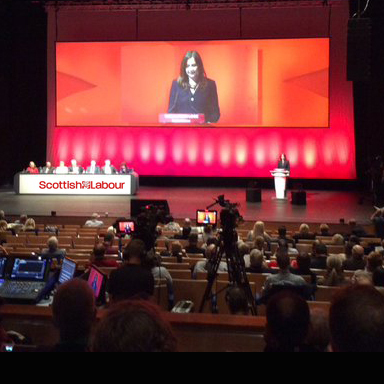 Today, the Scottish Labour conference in Perth debated the replacement of Trident. Having a debate is in itself a huge achievement. It is due to an imaginative members day initiative by the leadership of Scottish Labour and the support of both trade union and CLP sections in the priorities ballot. The UNISON Labour Link Scotland delegation voted for the motion that opposes the replacement of Trident. Here’s why. Firstly, Nuclear weapons have no military rationale. They do not deter and hugely increase the costs of a miscalculation that would have devastating consequences for the planet. A growing number of senior military figures argue that there is no conceivable threat that nuclear weapons provide effective defence against. Instead, resources should be invested in real threats such as terrorism and cyber warfare. It also means that when we send service men and women into danger they are properly equipped. Secondly, I understand the concerns of trade unions with members in the industry over the impact on jobs. The trade unions in Scotland have addressed this in the STUC report Trident and Jobs. This detailed analysis makes the case for a Scottish Defence Diversification Agency and draws on experience from around world, that shows this can actually be done. A proper analysis of the relatively small number of jobs associated with Trident, compared to the cost, shows that skills can be transferred to other defence options that are currently closed down because of Trident’s burden on the defence budget. The motion debated today offers strong protection for defence workers. Thirdly, the escalating cost of Trident, now up to £167bn, means that replacement is simply unaffordable. At a time of austerity these resources could also be better used to secure vital public services. This sum is the equivalent of the total devolved Scottish Budget for five years! Scotland’s share would make a significant dent in the financial gap caused by Tory austerity. There are those who object to nuclear weapons in principle. They make the moral argument that ownership of weapons of mass destruction can never be justified. They also argue that Britain has no right to own such weapons under international law. Important though these arguments are, the campaign against Trident has been boosted by pragmatic opponents who emphasis that Trident is ‘militarily useless‘ and cost escalation makes it unaffordable. I have heard it argued that it is easy for UNISON to take this position because we don’t represent workers who could be employed on the Trident programme. I would respond to that by pointing out that we do have other policy positions that impact on our members jobs. Where we do, such as scrapping the crazy energy market, we develop clear policies to protect the members concerned. That is precisely what the unions who are involved in the defence industry have done over Trident. There are times, when to retain credibility, trade unions have to accept that they can’t defend the indefensible, just because it has an impact on our members. Trident replacement is just such a policy. Spending £167bn on a useless defence system is indefensible and that’s why we voted for the motion to scrap it today (as set out below). Conference recognises that the question of Britain’s nuclear weapons system is a moral issue and a strategic one concerning Britain’s place in the world and the international environment we wish to see. Such weapons would, if used, constitute a moral threat to humanity’s survival; they are massively expensive; senior military figures have described them as ‘militarily useless’ and said that they should be scrapped; and our possession of them encourages other countries to seek similar arsenal. As a signatory to the nuclear Non-Proliferation Treaty, Britain should, therefore, give a lead in discharging its obligations by not seeking a replacement for Trident and abandoning plans to spend billions on a new generation of nuclear weapons. This is more relevant than ever at a time of so-called austerity and it cannot be right to spend large sums on weapons of mass destruction when essential services are facing cuts. However, conference also recognises the genuine and understandable concerns of workers engaged in Trident related work regarding their security of employment and believes that we need a policy that would see the jobs and skills of those workers preserved. Conference believes that money saved by ending our nuclear weapons system could be used to sustain a process of defence diversification vital to our manufacturing future, as well as freeing resources for investment in other socially useful forms of public spending. Conference therefore calls for the establishment of Defence Diversification Agencies at Scottish and UK levels, with a focus on ensuring a just transition for communities whose livelihoods are based in the defence sector and that: jobs, engineering and scientific skills are not lost; Britain’s defence equipment needs are met from domestic producers; there is proper forward planning of the defence budget; and that it is used to protect jobs and promote the smooth transition of manufacturing to alternative production. Conference believes that; prior to any decision to cancel Trident, firm commitments must be made to trade unions representing defence workers on the retention of defence workers’ jobs and recognises that until they receive form commitments to this end trade unions will continue to support the continuity of employment of their members. Posted in: British Regions/Nations, Labour, Politics, War/Defence. This is still not enough. Scottish Labour need to support Scottish independence and a federation of sovereign nations to replace the rancid Westminster Union and they need to campaign for an OUT vote in Cameron’s EU Referendum. They also need to develop a programme for working class power and socialism. Include for example demands like replacement of fat cats executives imposed by political patronage, the Old School Tie Network and absenetee and corporate shareholders with managers and leaders elected by the workforce and a regime of full-employment by sharing the available work with each paid the minimum of a trades union living wage. All I can really say is that this a debate that the increasingly isolated and ever more out of touch British labour party should have had at their last conference. Their conclusions seem sensible, level headed, reasonable and well considered and I fully agree with themt; even without the moral argument which for me is the clincher.